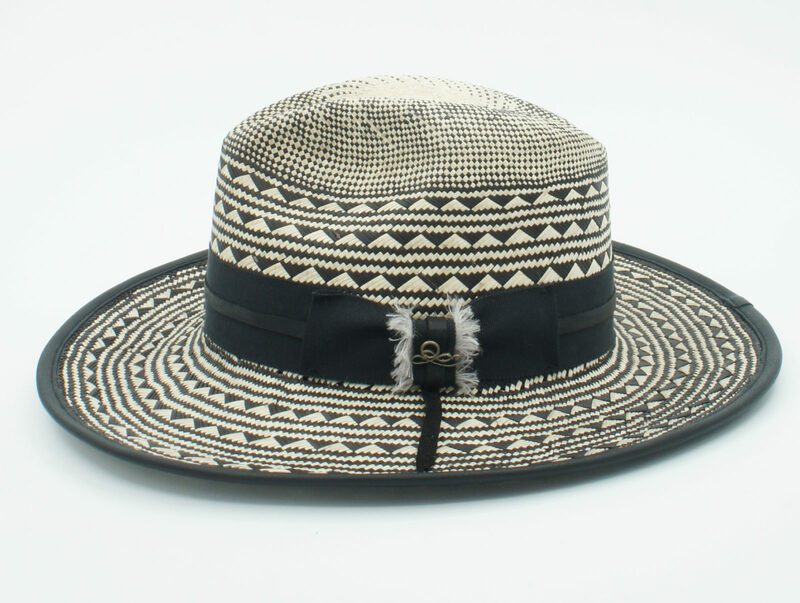 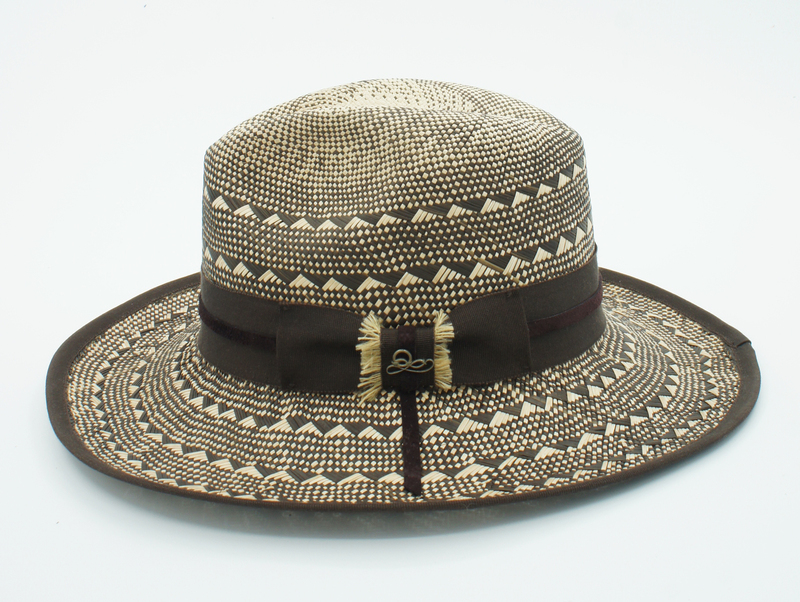 The Picopico style has been woven by Colombian artisans in Toquilla straw, featuring traditional geometrical patterns reflecting their ancestral symbolism. 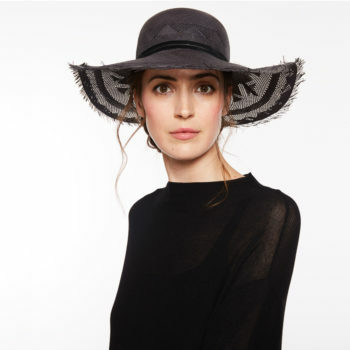 It is adorned with a classic grosgrain ribbon bow with frayed silk detail, a texture inspired by the hummingbird plumage. 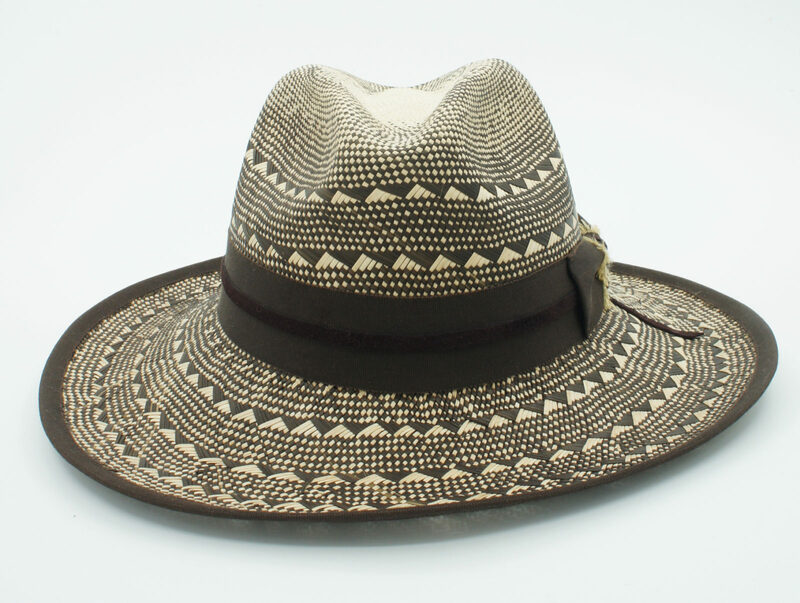 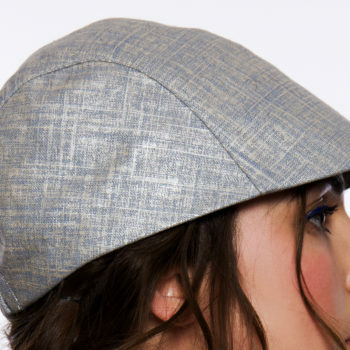 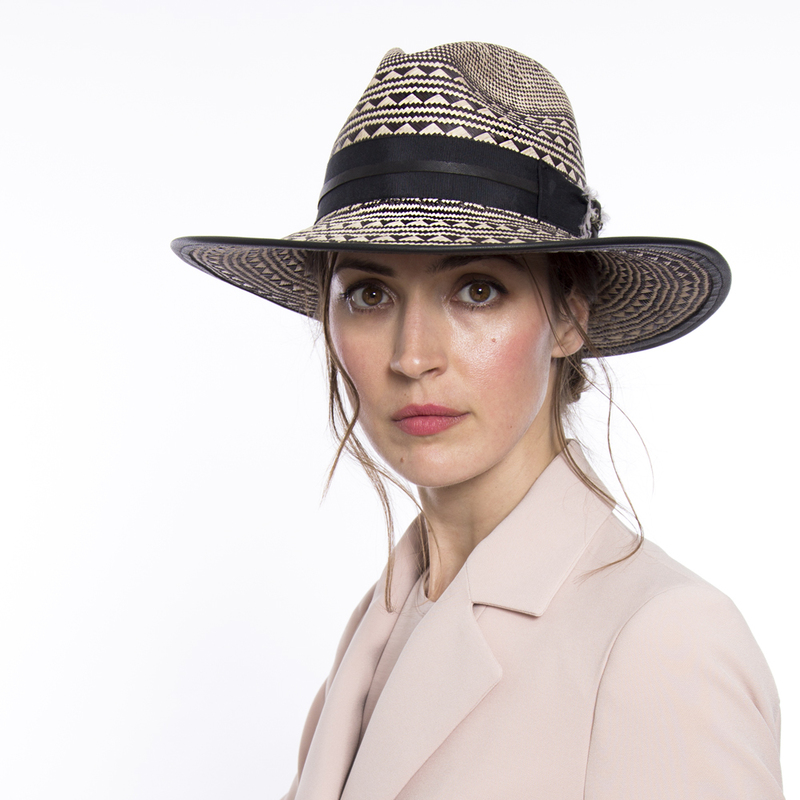 To complete the entire ensemble, this classical yet vibrant piece is trimmed with the highest quality leather to sharpen lines in the crown and the brim edge of the hat.